Other demonstrators run their own home-based business selling creative products that inspire women and give them helpful ways to enhance their lives. They get to work with customers and hostesses to give great parties that introduce new people to Stampin’ Up! Demonstrators enjoy constant support and ideas from Stampin’ Up!, making their "work" easier, more beautiful, and … fun! It's always a good time to join Stampin' Up! Which of us isn't interested in receiving a minimum 20% discount on our crafting supplies?! BUT from 3rd January to 31st March 2019 it's even better - an extra $80 worth of free products! Choose $315 worth of products and pay only $169 - that's a saving of $146 or, in other words, $146 of FREE products! 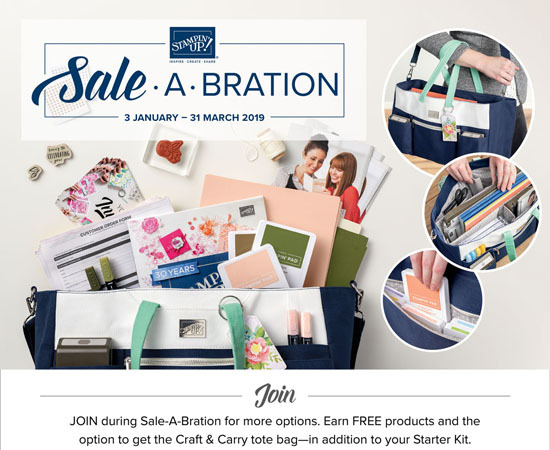 Choose $315 worth of products, add the exclusive Craft & Carry Tote (valued at $87) and pay only $210 - that's a saving of $192! 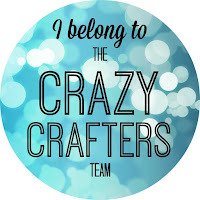 By joining my team, you will also join the wonderful and incredibly successful Crazy Crafters team! This is a very active group with great leadership and support. Although we're spread throughout Australia, we manage to be a very close-knit team offering each other bucket loads of inspiration, help and support. We have free access to great tutorials and videos on a large variety of topics ranging from card folds and techniques to business building techniques, as well as generally useful stuff like how to create a blog from scratch. This year Crazy Crafters leadership has been recognised by Stampin' Up for (amongst other things) the highest number of Promotions in Australia and 1st Place for Leadership in Australia. We have also been fortunate enough to receive inspiration and advice from some of the leading demonstrators and some of them have joined us on our monthly blog hops - a privilege that we will continue to enjoy from time to time. I was so lucky to have joined this group, you could join it too. Just click on the "Join Now" icon below.